Call to receive a free estimate. issue because of poorly labled imports. 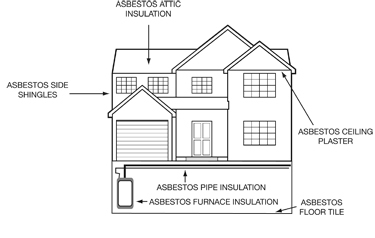 More often asbestos is found in older buildings in the form of floor tile, outside shingles, pipe and boiler insulation and even interior wall & ceiling coatings.